Certified Nursing Assistants (CNAs) are the unsung heroes of the healthcare system. They work in close contact with patients and take care of their basic needs. In order to become a CNA, an individual must fulfill the basic education requirements and get a license to work as a professional at a healthcare setting. Certified Nursing Assistants are required to perform several duties such as checking height, weight, and vital signs, conducting basic physical assessment of patients, and helping them in moving from one place to another. They provide basic healthcare services to patients under the supervision of nurses and physicians. The workplace environment also determines a CNA’s job responsibilities. We are listing some common workplaces of Certified Nursing Assistants. There are different departments and specialties in every hospital and a CNA’s job responsibilities depend on the department they work in. For example, a CNA working at surgical or cardiology department are required to take care of patients’ meal times and assist them in taking their meals. While a CNA working in a neonatal care unit may not have to perform this duty because most neonates receive parenteral nutrition, which is controlled through infusion pumps. 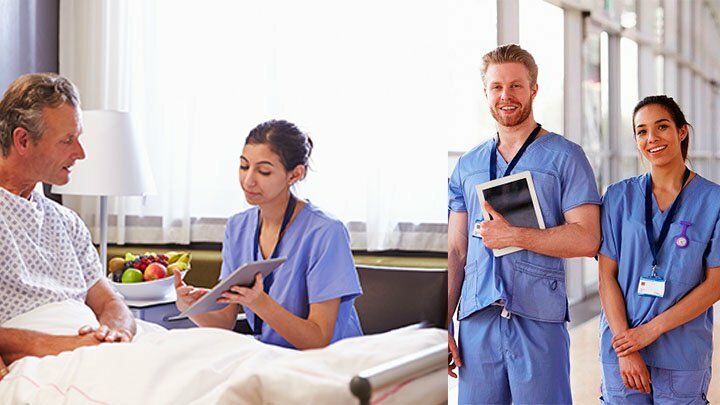 CNAs working at physician offices and other private healthcare facilities are mostly involved in performing straightforward routine duties such as interviewing the patient, checking vital signs, taking height and weight measurements, and administering oral vaccinations to adults and children. Over the last few years, job opportunities for CNAs have greatly increased majorly because of an increased need for nursing homes and assisted living centers. Elderly patients need a lot of attention and care, which cannot be provided by a registered nurse or doctor because they are involved in several other tasks. Certified Nursing Assistants working at nursing homes are responsible to provide support and company to the old patients as well as to assist them in performing routine activities.